With over 30 million performed each year mammograms are one of the most commonly coded procedures we see in healthcare. Although there are only a few mammography codes, understanding how to choose the appropriate code can be frustrating. 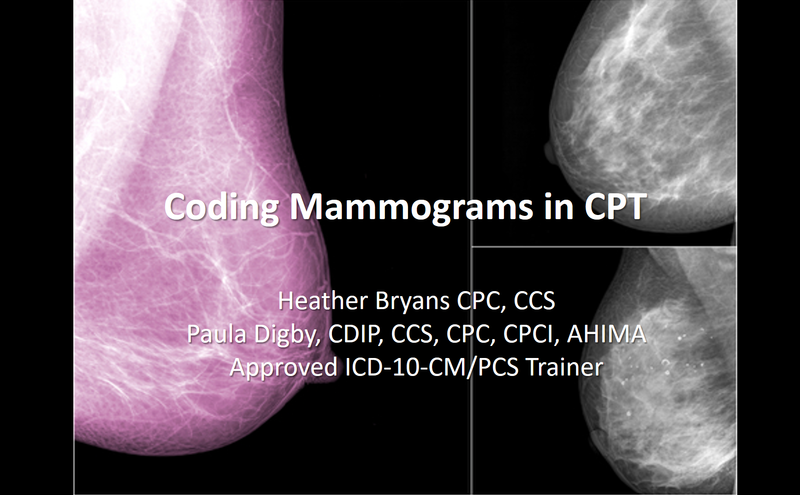 In this session we will clear away that confusion to make coding for mammography services stress free.